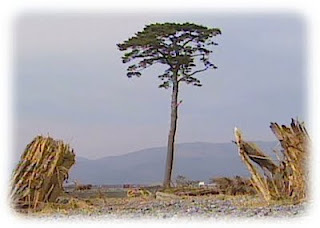 A solitary pine tree remains standing on a destroyed beachfront. 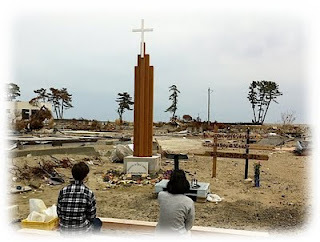 It withstood the tsunami that destroyed everything around it. The tree has been at the center of an intense rescue effort to preserve its life. Saltwater poisoning in the soil threatens to do it in, and so team of specialists dig around the tree, replace soil, and monitor its health. DNA is extracted to replant the area someday with bits of new hope from this symbol of living hope. Not far away another tree stands. A cross rises up above the site of a destroyed church building. Although once a symbol of death, the cross is a great symbol of life. No effort needs to be made to preserve the cross. Rather the cross offers to preserve the lives of all around from sin that has poisoned the "soil" of this world, and threatens to do us all in. The vision and prayer of Christians from this church is to replant the area with the love of Christ, the DNA of the cross. A sign nearby proclaims: "We believe in the revival of this land! 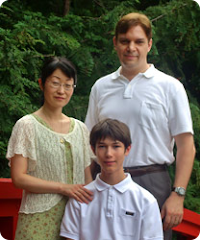 Special hope is found here."